This page is for the Enchanted Edition. 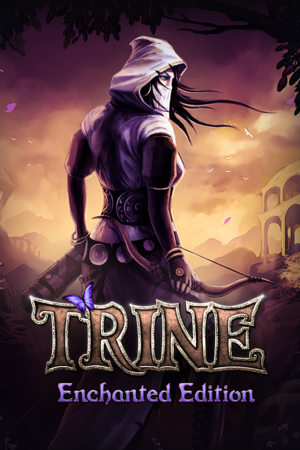 For the original release, see Trine. 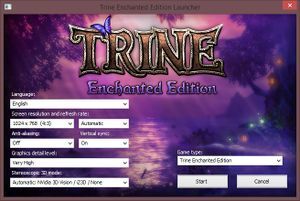 Enchanted Edition lets you play original Trine with Trine 2 engine, including online multiplayer and mid-level saving. It's free for all original PC version owners. Original version will still be playable from launcher. 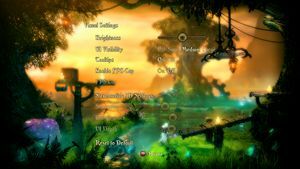 Engine and gameplay is almost identical to Trine 2 which means most of the same fixes will work. Game's editor available only for Windows, therefore mods and Steam Workshop content do not work with Linux version. 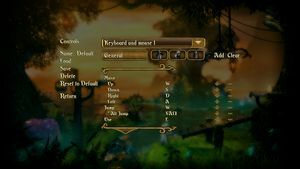 Game asks you whether you want to import your old save files or not. If you accidentally declined or you played during the beta period you can activate importing manually. Search line setOption(gameModule, "ImportOldSaves", false) and change it to true. 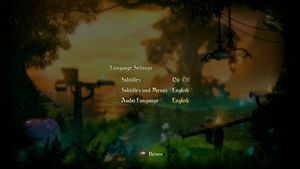 Next time you open up the game it asks you do you want to import save files and changes value back to false. Enforces FXAA on top of SSAA with launcher. See Anti-aliasing (AA). By default Trine limits the frame rate to 100.